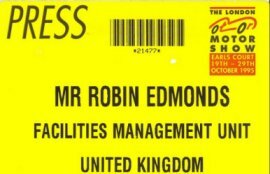 Warning - The material on this site reflects the attitudes of the 1970's and 1980's, and might therefore inadvertently cause offence. Please bear this in mind whilst moving around the site. I've heard from various sources that I have died. I've checked with my wife, and she can confirm that I am still living. I am seeking confirmation from medical sources, just in case. Picture of Jack Robinson's retirement do. Play spot the idiot here. Hotel now open - Pictures of the hotel from South East block here. 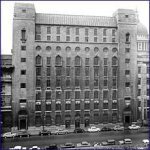 In the 1930s and 1940s the Faraday Building complex was the centre of Britain's telephone network, with circuits radiating to nearly every other system in the world. The GPO had opened its first London telephone exchange on the fourth floor of a building here in 1902. Five years later, a second exchange was added to cope with rapidly increasing demand. Faraday became the central switching centre for the whole of London. It was a vital communications point and a prime target as well, so in 1940 the north-east part of the building was constructed in a fortress-like structure, known as the 'Citadel'. 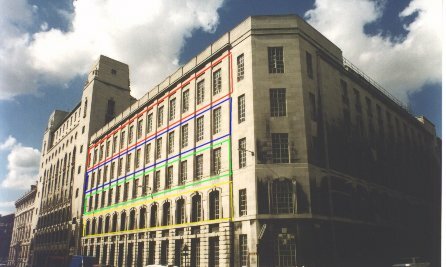 With the upgrade to digital technology during the 1980s, the Faraday Building soon became outdated, its switching role taken by Mondial House. However, Faraday Building has continued to be a major telecommunications building, and looks likely to remain so for many years to come. After some feedback, I'd better point out that the above is reproduced from another web site. You should be aware that the "years to come" have flown by, and Faraday is no longer as it was. North and North East blocks have gone to make way for a hotel, check the Ludgate Circus website (from the Links section) for recent photos. You definitely can't go back ! With his pre-history lost in the annals of time, The Loon ™ joined the PO Telcomms in 1972, much to the disgust of the rest of the TTA's. Based at London Bridge Street, he spent most of the first 3 years of his employment on courses at Kew, at the SELTEC in Lewisham, or creating havoc at the various exchanges around the City of London. When he finally sat down with his training officer, kindly old Mr Wilkins, they looked at his record, saw the credit assessments in subs apps and put him on exchange maintenance. Thus he was banished into the dark realms of Faraday Buildings, onto the legendary Trunk Mech, 2nd floor, south-east block. Now a Tech2a, he began to build the legend that is The Loon ™, aided and abetted by such well-known eejits as Mick Hughes, Pete Pawsey, Les Caller, Jack Robinson, Niknak O'Connell, Al Bracket, Bobby Bartram, the list of offenders is endless. He sat at the feet (or the open-toed sandals in John Bellman's case) of the powerful and learnt all that he could about anything but work, spreading his influence with a short stay amongst the inmates on the 1st floor south-east block (Rick 'mark one' Upjohn, possibly still around somewhere). When the TOIT list came round, and they had run out of sensible options, he was sent off to Citadel to study with such luminaries as Dave Pearman, Ian Curtis, Mick Joseph, Malcolm Couldrey and others, who completed his training and his journey to the dark side (sitting in the basement listening to Ivor Biggun and Derek & Clive can do that to you). Horror of horrors, someone died (or just stopped moving, there was little difference) on Toll A, 4th floor south-east block, and it was time for The Loon ™ to take his place amongst the mighty. Joining his new mentor, Ron Britten, in the tea bag drying room, The Loon ™ now flourished as he met some serious nutters. Step up Tony Mottram, Cyril Thompson, Tony Leonard to name but few. Eager to display his grasp of all things technical, The Loon ™ somehow persuaded the powers that be to let him rip out the switchboard and upgrade it. None were more surprised than he when it worked. Nice bit of o/t that. Enthused with this success, they gave him his own section to run, the much abused section six. Who can forget (who can remember ?) the christmas lights ? How many relay contacts died for those ventures ? Or the 'step over fault' key. Or the football matches. How did he persuade the head of the building that it would be better to organise 11-a-side matches than 5-a-side (the Spicer Shield, still in the loft somewhere! ), AND get BT to pay for them ? Who knows. Who cares. The golf trips - Bournemouth anybody ? The days out, which degenerated into the french trips. The toy fair - a day long nick-a-thon. Attention - If your picture appears on this site and you would rather it didn't, contact me to arrange removal. Ways to get in contact : The Loon ™ can be contacted via the e-mail link below, via Friends Reunited (where you can find others working for BT etc), or via Facebook (www.facebook.com) if you are a member. Search for La Loon (surprisingly), send a friend request and I will add you. There are a number of old boys on Facebook already.